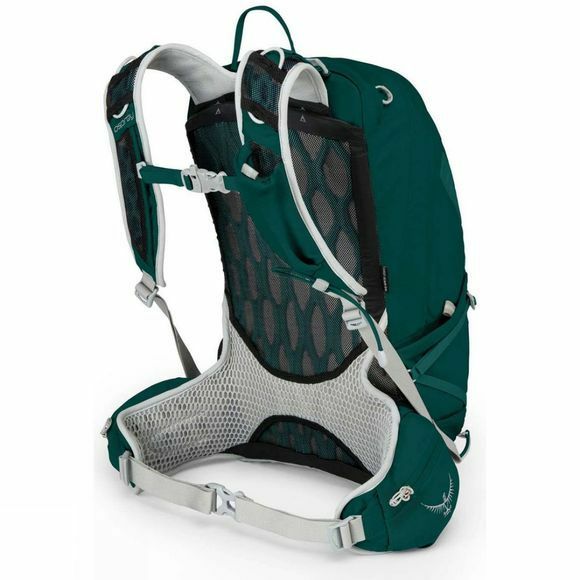 The stunning small capacity pack is equally at home wandering gentle footpaths or fast-paced adventures into the wilds. 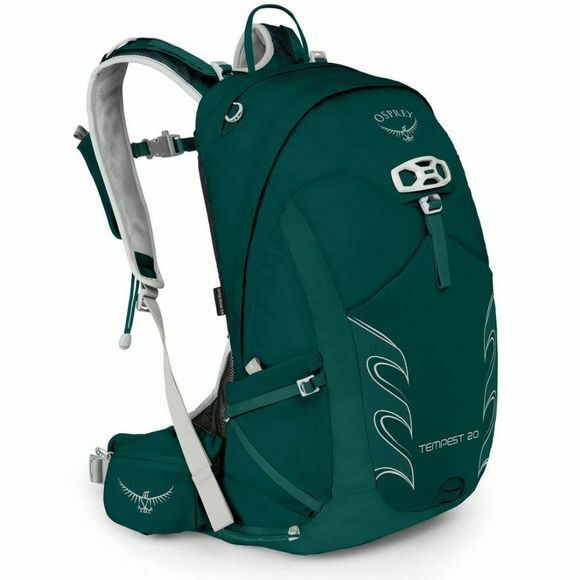 Loaded with practical features and Osprey's well known comfort the Women's Tempest 20 Rucksack is an essential trek and travel pack designed to take on any challenge. The AirScape mesh covered back panel has foam ridges that fit to the contours of your body, keeping the load close and aiding your stability. Air chimneys run through the foam, letting air circulate around your back to keep you cool. The seam-free lumbar to hipbelt body wrap is shaped to provide comfortable contact with your body and work with the back panel to reduce the movement of the pack when you are moving fast. The ErgoPull waistbelt simplifies the attachment of the hipbelt while the shoulder straps are more accomodating for a women's specific physique. With the Stow-on-the-Go feature, you can quickly and easily attach and release your trekking poles without having to take the pack off your back or stretch uncomfortably, and the LidLock feature lets you secure a helmet to the pack. The Power Mesh front stretch pocket will swallow all manner of gear, be it a fleece or a flask.